This morning, I went to Sweet Adeline, a Paris-style cafe on Adeline south of Alcatraz, to meet the artist and designer Biliana Stremska. I first encountered her work at the ACCI Gallery on Shattuck south of Cedar. 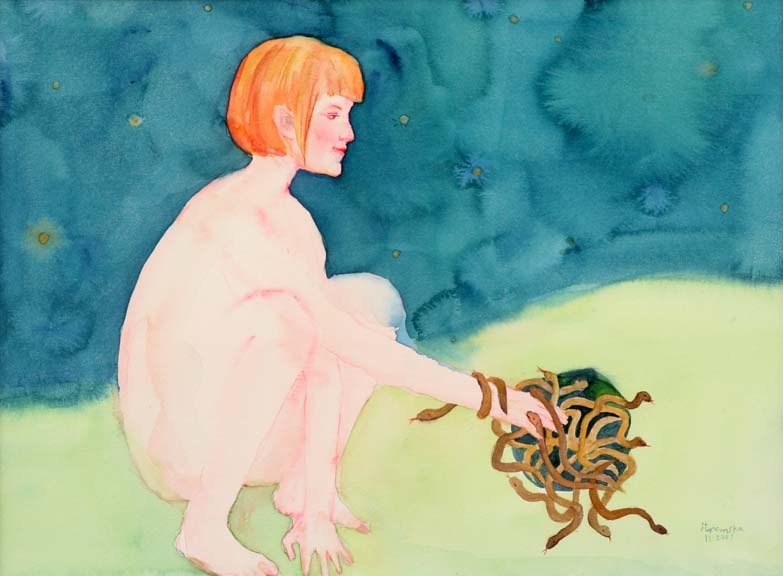 At that time, she painted from life, but her latest series, Fables, draws metaphorically on two strands - stories from the Bible and nonviolent communication. The latter, she told me, is based on empathy. Many of these paintings depict how men, women, and children wall each other off or, conversely, reach out or open up to each other. The Bible stories, like one from Isaiah shown below, are also influenced by the Quaker painter Edward Hicks' Peaceable Kingdom series - hence a child's hand unharmed in a vipers' nest. The persimmons in the painting above reflect their Bulgarian name, "apples of paradise." 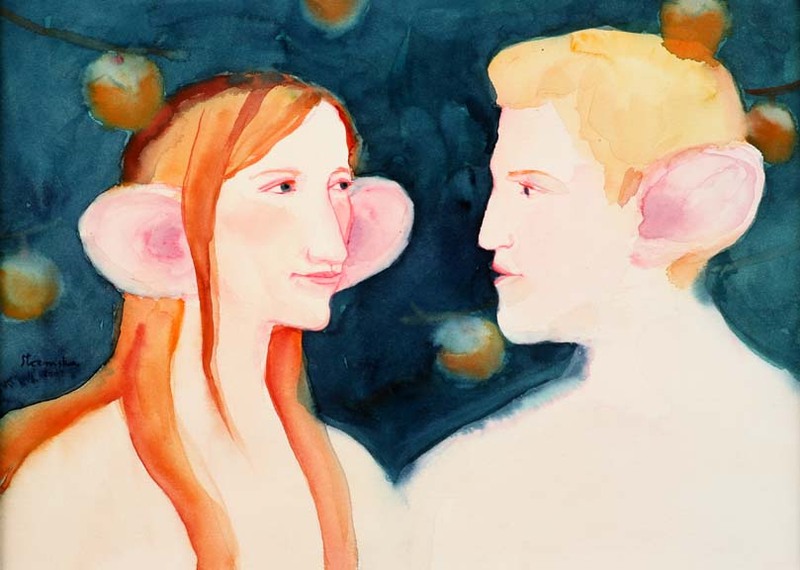 Really hearing each other is paradise, her painting tells us. Stremska has made a small book on the series, available from blurb.com (as her website explains).